The planned maintenance and refurbishment of 17 Doctors Surgeries and 21 Health Centres across Nottinghamshire, one of which was a listed building. The works included co-ordinating the safe removal of asbestos, extensive mechanical and electrical upgrades, the provision of new flooring, windows, ceilings, bespoke reception counters and high quality clinical finishing to meet stringent infection control requirements. All 38 Health Centres and Doctors Surgeries remained open for staff and patients throughout the works. Working in operational healthcare environments requires specific safeguarding measures to be adopted. 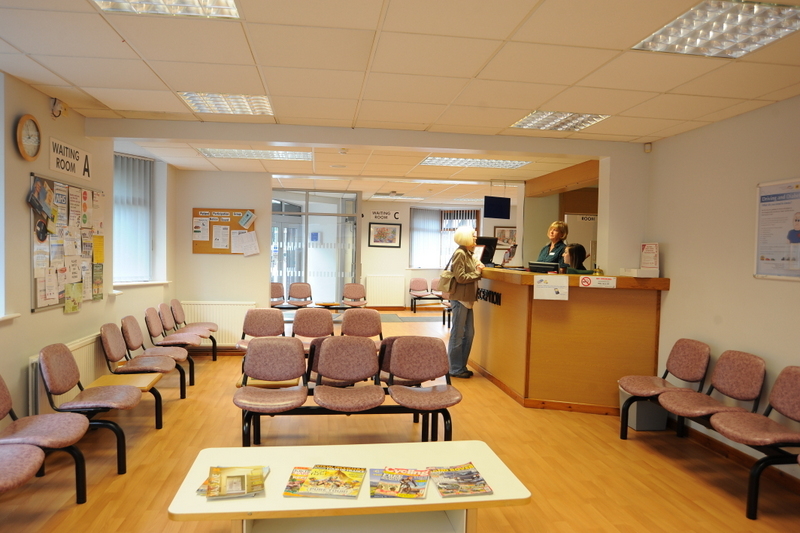 The 38 Health Centres and Doctors surgeries were geographically spread across Nottinghamshire and were delivered simultaneously. The programme required extensive multi organisation co-ordination to ensure the works did not impact on any day to day operations of the Centres, this included upholding patient/staff confidentiality and liaising with other stakeholders. Some sites were Listed and required specific planning permission in line with English Heritage Guidance to start on site. Meetings were held with all Management Teams for the Health Centres and Doctors Surgeries to establish programmes for each site before the project started. The Management Teams were able to identify potential risks and delays to the programme at an early stage. This process also allowed the Management Teams to inform the contractor of any time periods where work could not be safely conducted and alternative programmes to be agreed. Managing 38 individual projects simultaneously required an experienced Site Manager with a proven track record of delivering similar schemes to oversee the project. Individual Site Managers with experience in delivering refurbishment work were used to closely managing projects at a micro level to ensure safety and quality requirements were met. Open meetings were held regularly to update programmes and working schedules to allow the Health Centre and Surgery Management Teams to inform us of their working activities. These meetings allowed for feedback to be received to continuously improve. Woodhead Heritage, the specialist conservation arm of Robert Woodhead Limited together with a specialist local architect were consulted at strategic points to ensure that listed buildings were refurbished in line with the principles of conservation. This included providing a dedicated Site Manager with an MSc in Conservation in the built environment to oversee the works at Easthorpe House. Bespoke reception desks and counters were designed to client specifications and fabricated to seamlessly integrate with existing veneers. Grade II Listed Easthorpe House required new piping to be installed, the piping was installed in the roof cavity under controlled conditions due to the presence of asbestos. Installing the piping in the roof using specialist techniques saved approximately £12,000 of asbestos removal works. Plasterwork was also produced to match existing to in keep with the aesthetics of the Listed building. Over 100 variations were accommodated at various stages during the programme including the additional redecoration package at Lings Bar Hospital in excess of £80,000. This additional package was delivered to a high standard within a live hospital.